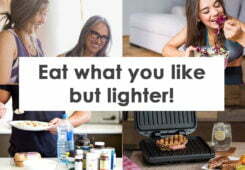 Eat what you love, but lighter! 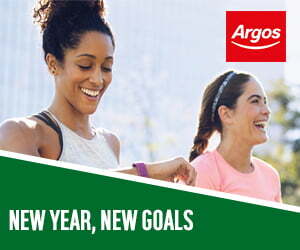 Forget the Gym – Hit Your Goals From Home! 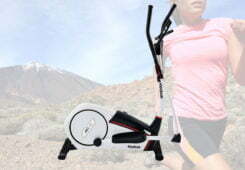 The Reebok Jet 200 is the latest version of their popular Jet series treadmill range. 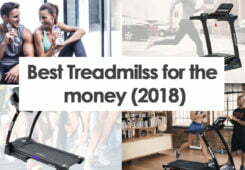 What Reebok have done is taken a great treadmill and improved it in every way possible to give as much as possible without having to resort to increasing prices. I had this delivered to the house for testing and boy is this heavy. It weighs in at almost 80kg’s and I was so glad the delivery men carried this through to my spare room. Do not go and collect this, most retailers offer free delivery and I would even recommend paying for it if there is a small delivery fee. 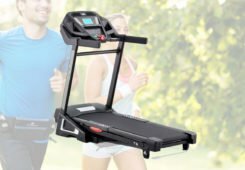 The box itself is also much larger compared to other treadmills we have tested recently, we recommend two people for setup and moving the treadmill into its final position. 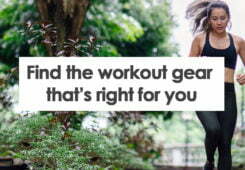 The good news is that Reebok have stuck to their tried and tested easy assembly system. Simply follow the few steps provided in the detailed guide. We had the Jet 200 setup in little under an hour, half of that time was making sure that it fitted correctly over the rubber floor protector. If the Reebok Jet 100 was a car then the Jet 200 could be called the ST version. The Jet 200 is an almost inverted colour scheme of the Jet 100. The primary colour is black with hints of emerald green all over and the pictures simply do not do this justice, trust us when we say that this machine is beautiful! If you haven’t guessed already I prefer black treadmills for the fact that I find they fit the colour schemes of many home gyms much better (including my own) and they also show a lot less marks, scrapes or dents that become visible on the frame over extended periods of use. 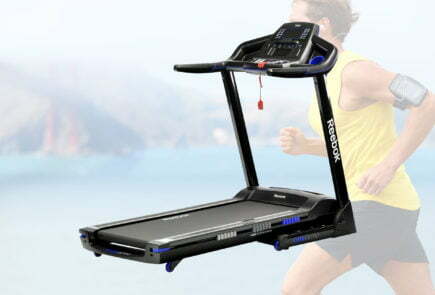 Reebok have improved the running track on the Jet 200 by increasing both its width and length. The width has now been increased to 46cm and a length of 140cm. This may only be small adjustments but it gives that little extra breathing space as you run. 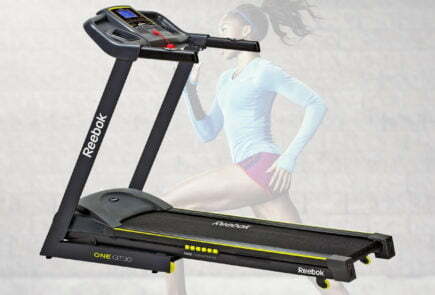 How does the Reebok Jet 200 treadmill compare to the Reebok Jet 100 treadmill? As you would expect with a newer more expensive model, the Reebok Jet 200 has many improvements over its older brother. Continuing the car example above, you pay a little more you get all the little additional extras. 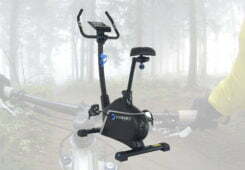 The motor provided has a higher 2.25hp output compared to the 2hp one included in the Jet 100. 15 levels of incline vs 12 level of incline. Not so much as negative point but apart from the colour scheme we couldn’t find all that much difference between any of the Reebok Jet series LCD displays and sensor readouts. This may be because the quality of the display are very high, we understand why Reebok would want to keep what is already a solid performing solution. Sensors are standard and as a function the ones supply are more than adequate. Built in MP3 connectivity – Allowing you to run hands free to your favourite songs. This gives you a great ability to simply stream a music provider such as Spotify straight through your phone into the treadmill. 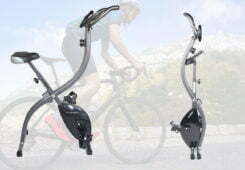 24 user programmes – These link in with both the machines ability to alter speed and incline as well as feedback form the sensors such as fat-burn, speed targets and heart rate goals. This gives the Reebok Jet 200 almost complete coverage from beginner right through to a veteran runner. 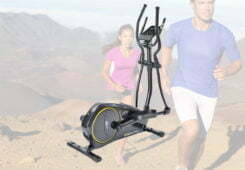 Front facing fan – A great feature that gives you a cooling breeze as you run. Typically you would only see this feature on very high end gym treadmills. 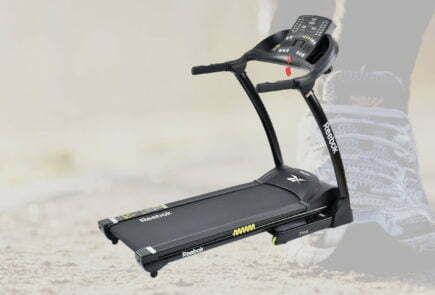 A great way to circulate some air as you run, many people who may use the treadmill in a spare room may have poor air circulation and so this is a real help. Soft-drop foldaway storage – Not everybody has a spare room in their house they can dedicate to a personal gym. 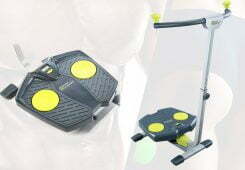 Reebok has supplied both transportation wheels and a soft drop mechanism for people who may require the treadmill to fold away when not in use. Reebok have once again pulled out all the stops with the Jet 200. Improving in almost every area over the Jet 100 many people will be asking themselves what version to buy. The good news is that there is no wrong choice, both have ample features and only your budget may limit your choice in the end. 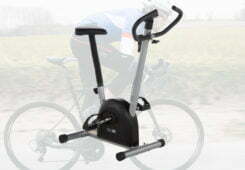 Beginners will be happy with the Jet 100 whereas those wanting to get into running frequently would suit the Jet 200. Buy smart, we check prices regularly and if the Jet 200 is on offer bringing its cost closer to the Jet 100 then we would advise spending that bit extra. 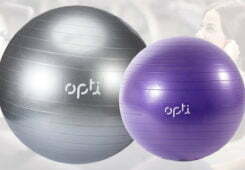 Also the colour scheme may play a part, this is a large bulky item, and it wouldn’t hurt to look nice in the room right? The Reebok Jet 200 is a setup up from the Jet 100, but is that extra cost worth the money? We take a look. It does have many pros and cons and our full review can be found below. Danny Foxton is a personal trainer and gym tech enthusiast. 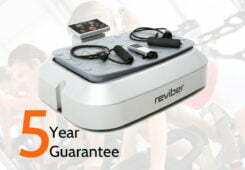 He has written more than 50 reviews over the years for various gym equipment after he was in the privileged position of being tester for a large UK high street retailer. Copyright © 2015-2019 GymTechReview, All Rights Reserved.